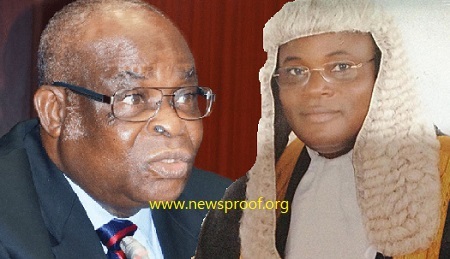 A Senior Advocate of Nigeria, SAN, Joe Agi has been named as one of those who paid in a sum of $30,000 found in one of the controversial illegal account owned by the embattled Chief Justice of Nigeria, Justice Walter Onnoghen, News Proof learned reliably. The $30,000 is among huge deposits of foreign currencies found in Onnoghen undeclared account at the Code of Conduct Bureau suspected to proceed of fraud. An exclusive report according to TheCable, an online news platform reported that the Economic and Financial Crimes Commission (EFCC) has traced a deposit of $30,000 by Joe Agi, a senior advocate, into the bank account of the embattled chief justice of Nigeria (CJN). The medium also published that Onnoghen also failed to disclose that he has an account at Heritage Bank in his asset declaration form — another violation of the code of conduct law.